Police are looking for the individual who robbed a West Hempstead bank. West Hempstead, NY - September 9, 2014 - The Robbery Squad reports the details of a Bank Robbery that occurred on Tuesday, September 09, 2014 at 1:55pm in West Hempstead. According to Detectives, an unknown subject entered the Capital One Bank located at 611 Hempstead Turnpike, approached a teller and made a verbal demand for money. After obtaining an undetermined amount of U.S. currency the subject fled the scene in a light colored auto travelling eastbound in the parking lot heading toward Hempstead Turnpike. There were five employees and one customer present in the bank at the time of the robbery. The subject is described as a male white in his middle 40’s, approximately 5’8”, medium build, wearing a dark colored t-shirt, sunglasses and a New York Yankees baseball cap. 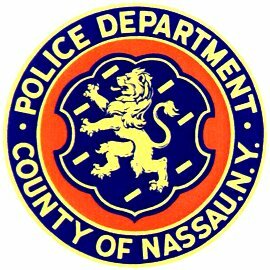 Subject: LongIsland.com - Your Name sent you Article details of "NCPD: Bank Robbery in West Hempstead"